Excellence Education Travels and Tours (EETT) offers Toefl Exam & Registration in Nigeria-Register for Toefl. We are also one of the best toefl test centers in Nigeria. Our teachers have undergone a rigorous certification training that is guaranty to get your high scores in your test and exams. Our TOEFL EXAM AND REGISTRATION IN NIGERIA center is reliable and trusted for HIGH SCORE. TOEFL stands for Test of English as a Foreign Language. The test is designed to measure the English Proficiency of non-English speaking people and is divided into four sections. In order to be accepted as an international student, most Colleges and Universities may then to take standardized tests. One such Exam, the TOEFL, is used by Colleges or Universities to assess the applicant’s level of English Language Proficiency. Nigeria is best known for her official Language as English but most College and Universities require TOEFL Examination Test for the Nigerians. The TOEFL exam is necessary in academic setting for the Nigerians who wish to study in the USA, Canada, Australia, UK, EU Countries etc. to be sure they can get by in an English-Speaking environment. There are many admission requirements for international students to study in the US, the TOEFL is one of the most important. So, Nigerians who wish to study abroad should be prepared to write TOEFL Exam with lot of preparations. It should be noted that a good TOEFL score helps students/applicants applying for VISAs or resident permit, medical and licensing agencies use TOEFL for professional certification purposes and individuals use it to measure his/her progress in learning English. The main method for testing is the iBT or Internet-Based Testing which was introduce in 2005 to replace the CBT (Computer based Testing). The CBT was officially scrapped in September 2006 and PBT (Paper Based Testing) are used: however, the PBT is rarely used. Our office is always available to get you registered for the Toefl Exam and also to train you have a good score. THE TOEFL iBT® Test, administered via the internet with the use of computer is an important part of the journey to study in an English-Speaking Country. In addition to the test, the ETS TOEFL Programme provides tools and guides to help students prepare for the test and improve their Engish-Language skills. We help you measure your ability to use and understand English at the University level with our CBT tools. 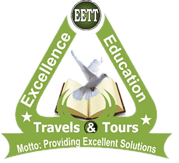 Excellence Education Travels and Tours, being the professional organization in training students in Nigeria for TOEFL Test will provide appropriate training for you to excel. The TOEFL IBT Test is used for both undergraduate and graduate admission requirements. The TOEFL Test is scored from 0 to 120, with each of the 4 Section (Speaking, Reading, Listening and Writing) counted as 30 points each which take a total of about four hours to complete. More than 9,000 Colleges or Universities in over 135 countries accept TOEFL Scores. Your scores are based on your performance on the questions in the test. You must answer at least one question each in the Reading and Listening Sections, write the two essays and complete the speaking task to receive an official score. A TOEFL score is valid for two years and then will no longer be officially reported. Understand the TOEFL format will give you a boast on the test day. Read on the following on how the test is put together. How can I improve my TOEFL score? At Excellence Education Travels and Tours, we are designed to prepare students for successful taking the TOEFL Exam in Nigeria. Our teachers have undergone a rigorous certification training that is incomparable. Not only we have modern teaching techniques but we also assist our students achieving their aims and objectives in their academic career. There are many TOEFL study books that teach students about the test and potential questions. These books/study materials provide an introduction to the exam, and go section by section to assist students in every facet of the exam. Therefore, students are advised to improve their study skills. Our TOEFL Training Centre is opened to assist you have a good presentable TOEFL score through our classes and online training. What is The Minimum Acceptable TOEFL Score? Unlike most other tests you take, you can’t pass or fail the TOEFL Test. No score can really be said to be “good” or “bad”, just as no level of English is inherently “good” or “bad”. It depends on what kind of Language you use and what you need it for. There’s a huge range here; some schools require a score as low as 68 points, and others as high as 109. 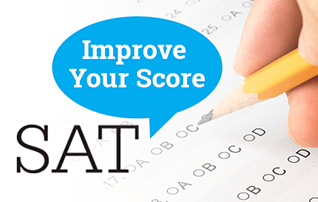 From a practical standpoint, the score required by the school you are interested in should be considered a GOOD Score. I.e. Different institutions with different TOEFL score requirements for undergraduate or graduate admission. 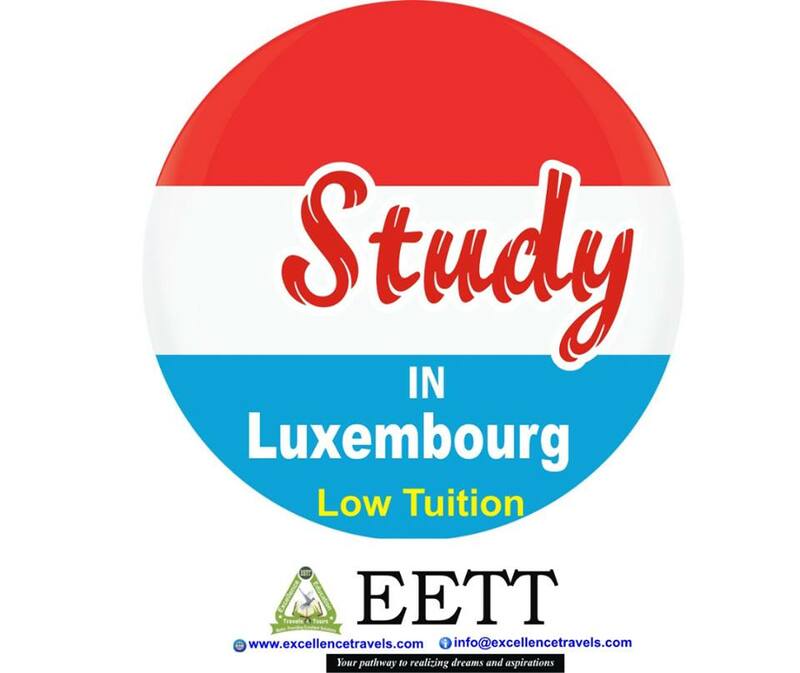 Excellence Education Travels and Tours will assist you secure admission into any choice of your institution no matter what your TOEFL score may be. Remember, test results are usually declared within two weeks of taking the test. Here is a Summary of the different levels for each section. If your score is not good enough for your dream school, EETT will help you provide an excellence solution. The TOEFL test is known to be administered by the US-based “Educational Testing Service” (ETS). This shows that ETS is charged with the responsibility of the questions, conduction of the test, and sending score reports to each examinee. HOW CAN I REGISTER FOR THE TOEFL TEST IN NIGERIA? The TOEFT test is mostly taking every weekend all the round the year and it is advisable for the students to register at least three weeks before their choice of testing date. N.B. Only valid international passport is required as a mode of identification for test takers in Nigeria. REGISTER FOR TOEFL TEST IN NIGERIA. We make TOEFL registration easier in Nigeria for our clients who need an urgent toefl Registration in other to meet up with their TOEFL TEST score report deadlines by getting there registered wherever they are within 24 hours either by visiting our office or by registering online/through E-mail. Excellence Education Travels and Tours provides you a variety of practice materials to help you prepare for the TOEFL IBT® test and build your English skills. Here is the list of best study materials to help you with TOEFL Prep. The official Guide to the new TOEFL. Cambridge preparation for the TOEFL Test. Kaplan, TOEFL IBT PREMER 2017-2018. Barron’s, writes for the TOEFL IBT. Peterson’s master TOEFL writing skills. 400 MUST have words for the TOEFL. Barron’s TOEFL IBT internet-based Test. We provide quick TOEFL exam and registration in Nigeria to enable the students plan ahead the date of their exams. Our TOEFL classes are held everyday from Monday – Friday (Weekday) while Friday – Saturday (Weekend). We are a renowned TOEFL training center because we use latest methods and material for conducting classes for TOEFL IB Examination in Nigeria. Therefore, if you are looking for a reliable TOEFL centre in Lagos, Nigeria, Excellence Education Travels and Tours is the best choice for you. Our TOEFL Registration/Training center is based in Lagos. Beginner and intermediate students would begin study from general English principal classes and then take TOEFL classes for 8weeks. Any middle or higher level of General English students would begin the Advanced TOEFL preparation course as a principal class. We make students prepare for all aspects of the TOEFL. We guarantee higher test score. Name, Your teller number, Amount paid, Phone No, and Exam paid for which a form will be sent to you to fill immediately after your payment has been confirmed and we will get register after you have filled and send back through E-mail. You can also contact our office address to process the registration directly. OGBA OFFICE: 23, Kayode Street, Off Caterpillar Bus Stop, Ogba, Lagos, Nigeria. AGEGE OFFICE: Stro House, 2nd Floor, 4 Oba-Ogunji Road Union Bank Building, Pen Cinema Agege, Lagos, Nigeria. Register for TOEFL in Nigeria, Register for TOEFL examination in Nigeria, The best TOEFL center in Nigeria, The best TOEFL center in Lagos, TOEFL training center in Nigeria, TOEFL Training center in Lagos, Register for TOEFL in Lagos, Where can I register for TOEFL in Lagos, Registration for TOEFL in Lagos, Registration for TOEFL in Nigeria, Coaching center for TOEFL in Nigeria, Coaching center for TOEFL in Lagos, Coaching center for TOEFL exam in Nigeria, Coaching center for TOEFL in Lagos, TOEFL registration center in Lagos, TOEFL registration/training center Lagos, The best TOEFL registration center in Nigeria, The best TOEFL registration in Lagos, Where can I buy the best TOEFL study material in Nigeria, How can I get the latest TOEFL exam material in Lagos, Registration for TOEFL exam in Nigeria, Registration for TOEFL exam in Lagos, Test dates for TOEFL in Nigeria, Test dates for TOEFL in Lagos, Exams dates for TOEFL in Nigeria, Lists of TOEFL testing center in Nigeria, The best TOEFL study guides, The best TOEFL materials for study, The latest TOEFL materials for study, Study materials for TOEFL. TOEFL in Nigeria, Writing TOEFL in Nigeria, Register for TOEFL in Nigeria, TOEFL locations in Nigeria, TOEFL registration centers in Nigeria, Writing the TOEFL in Nigeria, TOEFL study Materials in Nigeria, TOEFL exams in Nigeria, TOEFL test dates in Nigeria, TOEFL centers in Nigeria, TOEFL test centers in Nigeria, TOEFL dates in Nigeria, TOEFL in Lagos, TOEFL in Port Harcourt, TOEFL in Abuja, TOEFL in Nigeria Abuja, TOEFL classes in Nigeria, TOEFL in Nigeria Lagos, TOEFL examination in Nigeria, TOEFL training in Nigeria, TOEFL exams in Nigeria, TOEFL fee in Nigeria. TOEFL exam in Abuja, TOEFL exam in Anambra, TOEFL exam in Enugu TOEFL exam in Akwa Ibom, TOEFL exam in Adamawa, TOEFL exam in Abia, TOEFL exam in Bauchi, TOEFL exam in Bayelsa, TOEFL exam in Benue, TOEFL exam in Borno, TOEFL exam in Cross River, TOEFL exam in Delta, TOEFL exam in Ebonyi, TOEFL exam in Edo, TOEFL exam in Ekiti, TOEFL exam in Gombe, TOEFL exam in Imo, TOEFL exam in Jigawa, TOEFL exam in Kaduna, TOEFL exam in Kano, TOEFL exam in Katsina, TOEFL exam in Kebbi, TOEFL exam in Kogi, TOEFL exam in Kwara, TOEFL exam in Lagos, TOEFL exam in Nasarawa, TOEFL exam in Niger, TOEFL exam in Ogun, TOEFL exam in Ondo, TOEFL exam in Osun, TOEFL exam in Oyo, TOEFL exam in Plateau, TOEFL exam in Rivers, TOEFL exam in Sokoto, TOEFL exam in Taraba, TOEFL exam in Yobe, TOEFL exam in Zamfara. EDUCATION Hall Excellence Education Travels and Tours 23 Kayode Street Opposite Caterpillar Bus Stop Ogba, Lagos Nigeria.